Will the convergence of Business Intelligence and Social Media tools lead to more accurate decision-making? How far off are we from replacing funny videos and photos with solid analytics to make decisions collaboratively and even socially? That’s the question the IS Associates explored at their February meeting where Betsy was invited to moderate this engaging panel. The panel explored how brands are leveraging these tools in business decisions. Betsy Berkhemer-Credaire moderated the panel on Business Intelligence for the UCLA Andersons IS Associates. 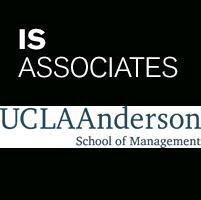 The IS Associates are dedicated to enhancing IT leadership and management; members include senior IT executives, faculty, and students of UCLA Anderson. Betsy to moderate panel discussing how Business Intelligence and Enterprise Social Media affect managerial decision-making. Companies are using increasingly creative ways to capture and share information on important business and performance trends. Social media technologies have changed the way individuals engage and communicate and have proven to create reservoirs of expertise and information for companies to leverage. Business Intelligence and Analytics technology use has risen within organizations but challenges remain for leaders making decisions with this information. In this forum, we will examine the convergence of Business Intelligence and Enterprise Social Media tools and discuss their effect on managerial decisions. This is an annual event for members of the IS Associates organizations and Anderson MBA and FEMBA students. It provides an opportunity for IT business leaders and Anderson students to learn more about each other’s environments and interests, while at the same time to experience a panel discussion for which both the topic and speakers are chosen by the students. Debra Domeyer, CTO, Oversee.net: Debra has over twenty-five years of experience in technology. Prior tojoining Oversee.net, she was the Chief Technology Officer at Internet Brands (INET), an internet media company from 2000 to 2008 In 2001, Debra was named one of the top 25 CTOs by InfoWorld Magazine and listed in the ComputerWorld Premier 100 IT leaders. Nathan Henson, Sr. Dir, Global Account Management, YesMail: Nathan Henson is an Online Marketing and Customer Retention Management expert with 11+ years experience designing and managing the most advanced online programs in existence today. Extensive experience with subscription-based email, mobile and social media marketing programs, having implemented and managed programs for Warner Bros., Nissan/Infiniti, Macy’s, eBay/PayPal, E*TRADE, Kodak, Barclays Global, Apple, Electronic Arts, Wells Fargo, The Body Shop, Los Angeles Times, Hotwire, and many others. Ken Lin, Program Manager, RPA: Ken Lin’s extensive experience includes leading the sales and delivery of some of his clients’ largest Business Intelligence initiatives, including Microsoft, Hewlett Packard, Intel, Western Digital, Ingram Micro and Johnson & Johnson..
George Lambert, Associate Partner, Business Analytics and Optimization at IBM Global Business Services: Ken has been in the area of marketing analytics and business intelligence at eHarmony, Snap Technologies, Yahoo! and Ticketmaster working on wide array of topics including display ads, websitea, paid search, e-mail, market research and surveys, customer segmentation, and financial analysis.